Martial arts mayhem meets demon-fueled horror as Liesel and her new allies battle a horde of the undead in the bowels of an ancient mountain! The heir to the Van Helsing legacy is on her deadliest vampire hunt yet as this epic story reaches its blood-soaked conclusion. She must fight alongside a young Buddhist monk, a Chinese secret agent and a werewolf to bring to an end centuries-long reign of terror of a clan of Asian bloodsuckers. The final battle against the vampires of the mountains happens and it’s not without it’s casualties. Luckily most of them are vampires, so that’s OK. 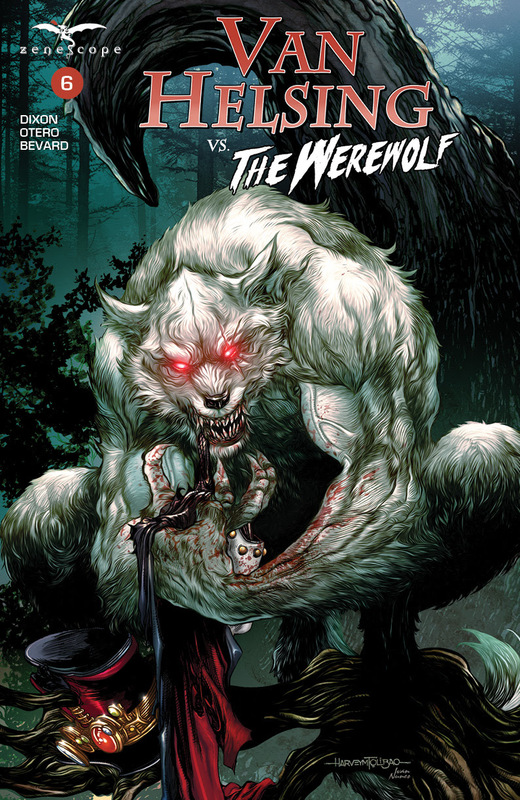 The werewolf does his part too, and although this series has had less of the ‘verses’ than most of these mini series, it has been well done, with the werewolf being a main player for the second half of the series. The final battle against the boss vampire is well done, showing how dangerous he is, even though he must be very old. The ending is interesting, with Van Helsing making her way across the mountains with a different passenger, I wonder if this will be followed up? The teaser at the end is interesting too – and I wonder how this will link up with other series…. 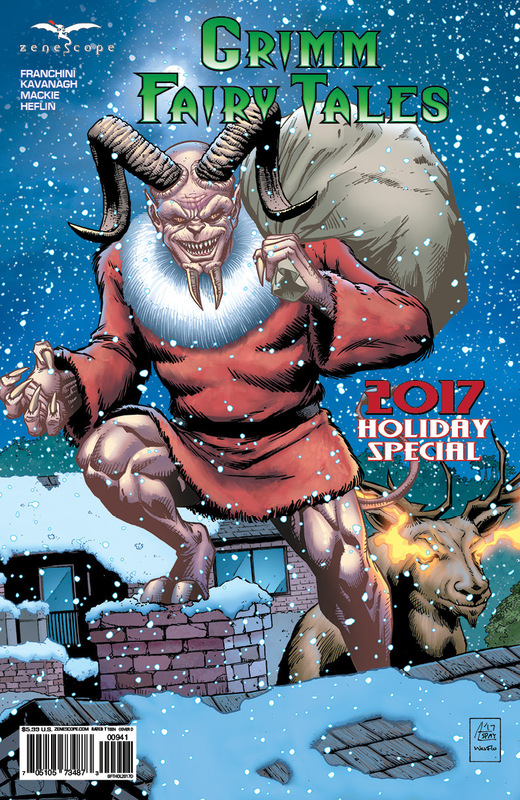 Tis the season to be terrified, as Grimm Fairy Tales returns with another year of holiday horror for the whole family. This issue includes four new bone chilling stories set during the happiest time of the year. Don’t miss this issue and continue celebrating the holiday season in the usual Grimm fashion. Christmas at Arcane Acre, and Skye meets someone else who knew her mother! the Krampus gets Skye’s book and tells some stories – first a nice Grimm Tale Of Terror’ of the Eleves and the Shoemaker. It’s a nice modern twist of a tale I haven’t heard in a while. Although I’m pretty sure we could see where it was all going! The Night Before Christmas is a faster moving tale and with more of a ‘happy’ ending (heh), I like the set up, but it was a little obvious in the framing! Winter’s Night however was my favourite, I like the build up, the twist and the characters, the art is good fun too.